Sony has announced the free games that will be available to all PlayStation Plus subscribers in October. 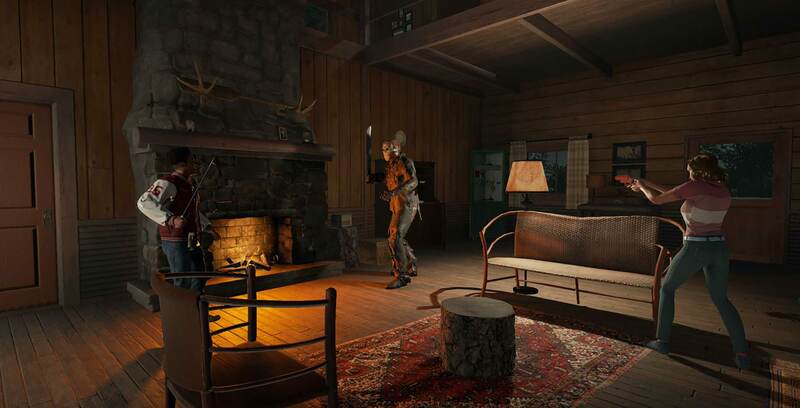 IllFonic’s Friday the 13th: The Game brings the iconic slasher franchise to video games in an online experience that has one player assume the role of Jason Voorhees as he hunts down seven other player-controlled camp counselors. The game released on the PlayStation 4 in May 2017 and regularly costs $53.49 CAD. Roll7’s Laser League is a futuristic multiplayer sports game that has teams trying to set up moving lasers in an arena to defeat their opponents. The game released on the PlayStation 4 in May 2018 and regular costs $19.99. Wales Interactive’s Master Reboot is an adventure game where players explore the Soul World, a hub made of dedicated servers containing the thoughts and memories of real world people. The game released on the PlayStation 4 in March 2014 and regularly costs $9.49. The Quantum Astrophysicists Guild’s The Bridge challenges players with 2D logic puzzles revolving around manipulating gravity. The game released on the PlayStation 4 in August 2015 and regularly costs $9.99. Ratloop Asia’s Rocketbirds 2: Evolution is a 2D shooting game where up to four players can explore procedurally-generated maps with heavily armed chickens. The game released on the PlayStation 4 in April 2016 and regular costs $13.49. In its 2064: Read Only Memories adventure game, developer Midboss requires players to uncover a shocking conspiracy in the cyberpunk world of Neo-San Francisco. The game released on the PlayStation 4 in January 2017 and regularly costs $26.99. In the meantime, September’s free PlayStation Plus games lineup — which includes Destiny 2 and God of War 3 Remastered — can still be downloaded. As well, PlayStation VR horror title Here They Lie and smartphone compatible PlayLink trivia game Knowledge is Power are also still available for free with PS Plus. Here They Lie will remain free until October 2nd, while Knowledge is Power can be claimed until November 6th.